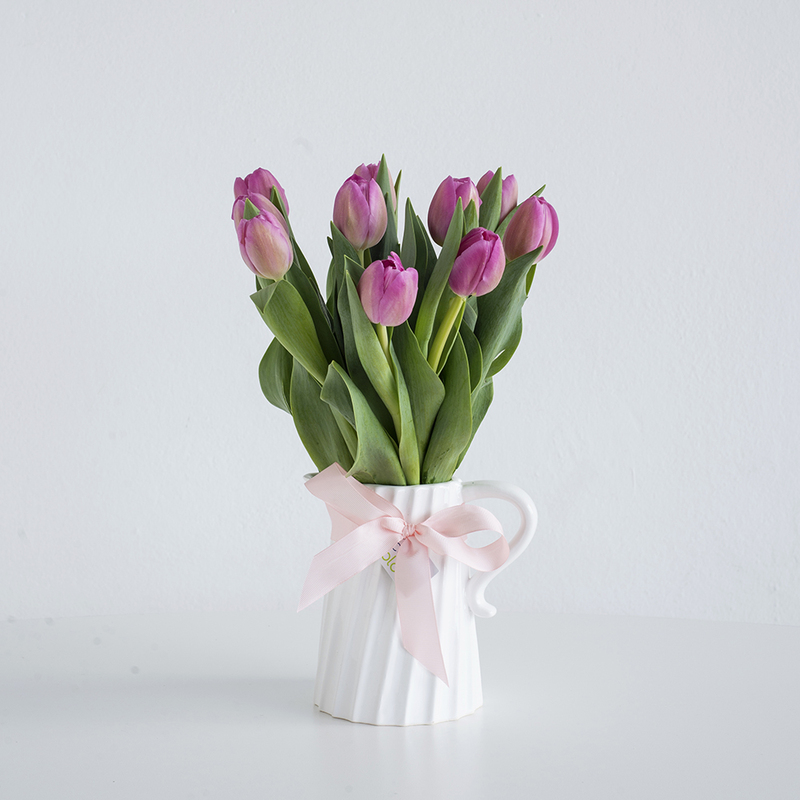 Tulips are such a popular choice when in season. These pink tulips are beautifully arranged in a twisted white ceramic jug. This is such a beautiful classic look and is one of the most popular Mother’s Day arrangements.